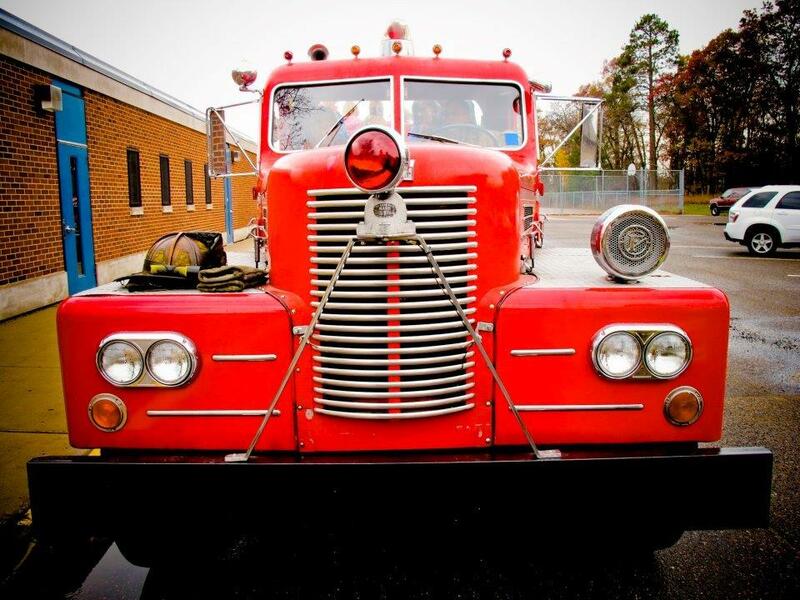 While all fire engines pump water, this truck excels at drafting (pulling) water out of lakes, ponds, and portable tanks. Drafting water is not like connecting to a hydrant or using the water from the truck’s tank. Drafting takes an airtight pump and hose, a strong primer, and a lot of horsepower as the fire engine needs to create a vacuum to pull the water up into the pump and then push it out through hoses. 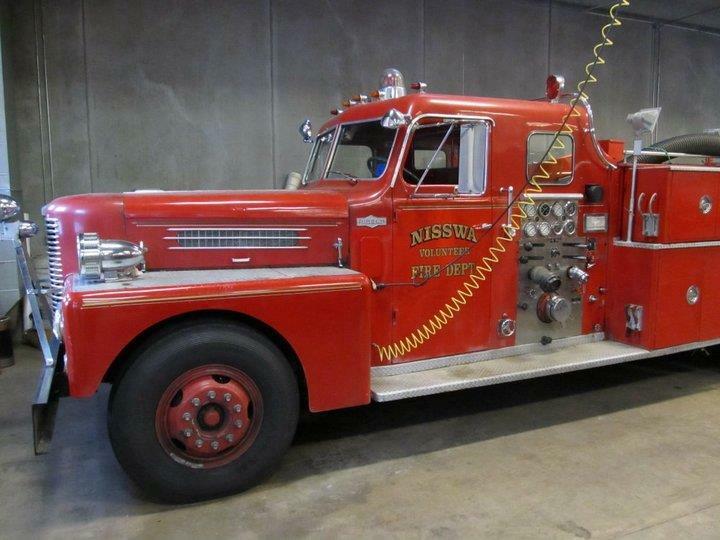 The Nisswa Fire Department acquired the 1974 Pirsch from Spring Lake Park, but it came with a blown engine. Nisswa was able to find a mechanic who could repair the large-block, six-cylinder Waukesha gas engine that has 12 spark plugs. When there is a fire, this truck is sent to the closest lake to supply the other engines and tankers with water. None of the new diesel fire engines can match this truck’s pumping capacity. Chief Geike said the 1974 Darley pump is rated at 1,250 gallons per minute, but the truck can pump in excess of 1,700 gallons per minute while drafting. The department added a pre-connected 20-foot, large diameter hard-suction hose that wraps around the truck to be quickly deployed when the truck arrives at a lake. It looks a little odd, but it is very effective. This truck out-pumps newer trucks. 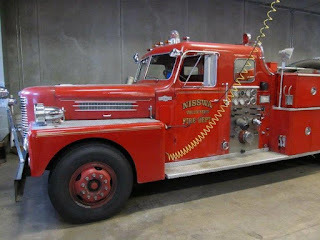 With parts being hard to find, Nisswa has looked at the possibility of taking the truck apart and putting it on a trailer or on another truck—but none of the mechanics or engineers will guarantee that the end result would match its current pumping capacity. It has the perfect synthesis of mechanical components, and it’s a perfect fit for the Nisswa lakes area communities. And heck, it even has a nickname. In the meantime, be careful and stay safe. of coaching changes the perspective. “Coaches do not defeat officers but rather create an environment to win. Coaches do challenge officers and make them work for their success.” These phrases are not from a book on coaching but are the words of George T. Williams, the director of training for Cutting Edge Training. 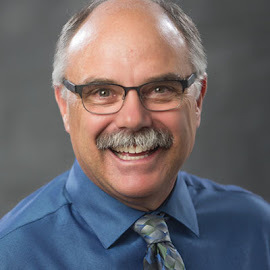 Mr. Williams was recently instructing the West Central Minnesota Law Enforcement program in the city of Ottertail. He is talking about why he refers to police officers in tactical training classes as either officers or coaches. Traditionally in this type of training, the instructor divides the class into groups of two—with one officer acting as police officer and the other acting in the role of a suspect or opponent. In a weapon retention drill, for example, the suspect tries to get the training firearm out of the officer’s holster, and the officer practices techniques to prevent the suspect from getting control of the gun. We know that this type of training is critically important but can be high risk. Over a decade ago, Cutting Edge Training instituted the “coach concept” for the officer playing the suspect, and they have seen a decrease in training injuries. It changes the perspective of the officers. The coach officers are instructed on when to stop a scenario and how to critique mistakes by “breaking it down” into the tactical steps. And the coaches immediately catch the training going off script as they are on the receiving end of what’s happening. When this happens, the coach and the instructor immediately reset the scene and run the drill again to allow the officer to learn from the mistake and work through the drill again until the officer achieves a successful outcome. I was lucky enough to attend Cutting Edge’s class on Force Response Civil Liability Prevention for Police Officers and Managers. The class was outstanding, and Mr. Williams and I kept each other busy before class on breaks talking about how to reduce training injuries. When he explained the coaching concept for the suspect officer, I envisioned this being a component in the Training Safety Officer (TSO) program. It doesn’t seem like much of a change, but this simple change in perspective can have big effects. I thank the West Central Minnesota Law Enforcement Training group and Otter Tail County Chief Deputy Stacy Paulseth for allowing me to attend.